Beauty is always in the eyes of the beholder. 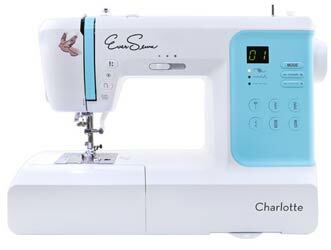 However, there are some sewing beauties like EverSewn Charlotte 70-Stitch Computerized Sewing Machine that goes beyond catching the fancy of a few. Adorned in bright colors that make it look childish, but you’ll know it’s the real deal after you see the first few stitches it produces. There’s a reason why EverSewn sewing machines are quite popular in the United States sewing community. And like a wildfire, this trust and popularity are spreading beyond North America into Europe. It’s not just about great reviews, the EverSewn Charlotte has more to offer. Do you desire exclusivity and rarity in your sewing machines? Then you just found the exact one with these two features. 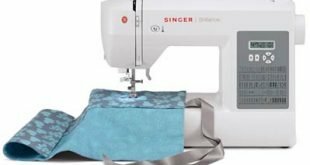 Think of this as a perfect sewing machine for starting sewing or a backup sewing machine. There’s a lot of reasons and many useful features of the Charlotte that will make you click the order button with confidence right now! What are they? You may have to read on to discover! Ever Sewn Charlottes is a product of the best form of engineering. Equipped with 70 built-in stitches. You need to see the gorgeous stitches produced by this sewing machine. Just by the push of a button, you can adjust the stitch width to a maximum of 7mm. Starting and stopping sewing is just with the push of a button also. EverSewn Charlotte can go as fast as 850 Stitches per minute. However, the stitch speed can be controlled with a fingertip press. The Charlotte sewing machine relies on a drop-in bobbin system. The free arm length is also as wide as 163mm, wide enough for your puffs, seams, and collars. You may want to know that the 6 step buttonholes style gives you enough options to choose from and also contains an eyelet. Being a computerized sewing machine, there’s a LED Screen to choose stitches. This gives you a perfect view of whatever you are controlling on your Charlotte sewing machine. 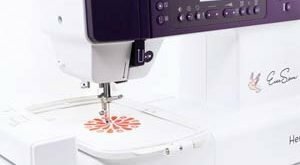 Just like most other computerized sewing machines, there’s an automatic needle threader to help fix in your tiniest thread. Whatever project and material you are handling, seven presser feet should be adequate. You should also imagine what you can achieve with a large sewing space of 6.5 inches; enough, right? That’s what we thought. There should be no concern about the durability and the longevity of the sewing machine. It is made from heavy-duty metal by EverSewn Design Team. 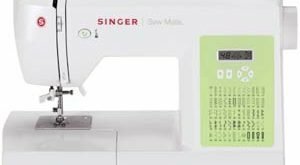 Every component of the sewing machine is thoroughly tested and ISO 9001 certified. No doubt, this is a beginner sewing machine. Reading through the features and specifications, it is designed for entry-level users in mind. All this are to ensure that sewing and learning come with total ease for newbies. Automatic features are usually best for starters. Nonetheless, experienced users can still benefit from the sophisticated features the sewing machine is equipped with.